The Palo Alto High School Madrigal Singers are celebrating 50 years of music making. To honor this moment, award winning photographer, Jayson Oertel, has captured our young singers in their glorious attire. 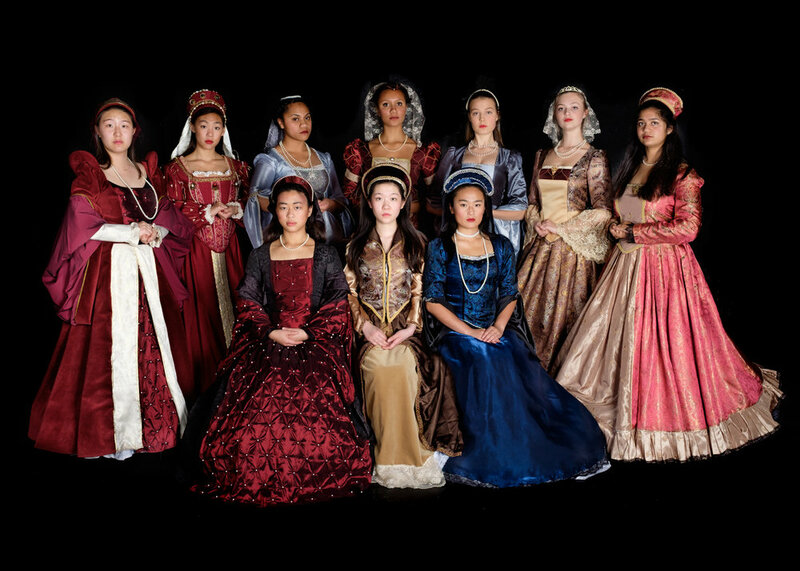 Solo and group portraits truly befitting a royal ensemble. A portion of any package you purchase goes directly to the Friend of Paly Choirs. 1. To view the photos before you decide, CLICK HERE (will open new window). If there are any photos you want to purchase, please take note of the image number. 2. If you decide you'd like to purchase a package, click HERE or the link below to get started. 3. Choose the package you'd like to purchase. 4. If you haven't already done so, visit the photo gallery (link is in package descriptions) and choose the photo(s) you'd like to purchase. 5. Proceed through checkout. Further instructions will be available when you choose your package. *Order deadline extended through Sunday, December 11th, 2016 at 11:00pm PT.